Average rating 5.0 from 112 reviews. 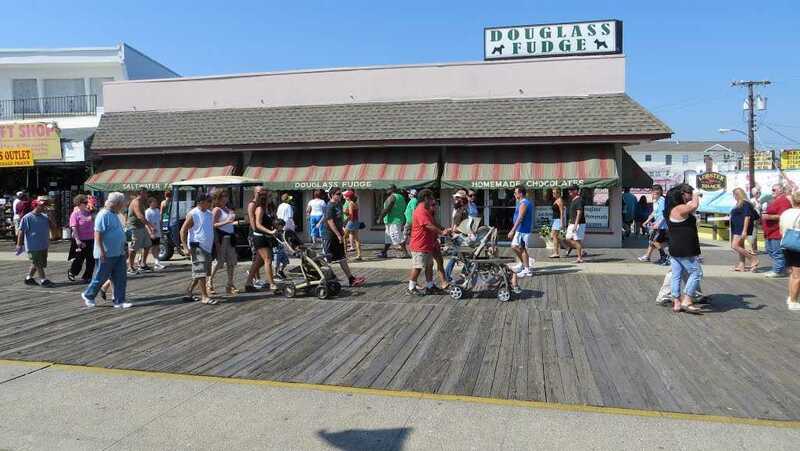 Douglas fudge has been serving up quality fudge and candies to the Wildwood vacationer for almost 100 years! Located right on the boardwalk at Wildwood Avenue, it’s a must stop shop for those looking to sweeten up their day! (or night) Try their delicious fudge, which you can watch being made right inside their big front window, grab a box of their award winning salt water taffy or enjoy one of their delectable Molasses Paddles for a start. The store is a candy lovers dream! Worth checking out on your next trip to the Wildwood Boardwalk.